In our last Recordable INSIGHTS we looked at ways to build employee engagement in order to build a better safety leadership. In addition to engagement, however, it’s important to differentiate among your employees in terms of their willingness and ability to “get on board,” adopt a safety culture, and perform at high levels. 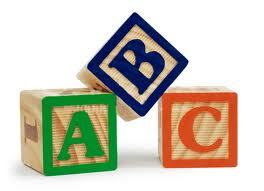 One of the best ways to do that is by force ranking them as A, B, or C players. Many managers and supervisors inherently resist a forced ranking of employees due to things like friendship, loyalty or perceived fairness. And those that resist this are often tempted to rank everyone the same. Usually that translates into everyone on the team being rated as a B Player. But if you don’t think you have A players and C players on your team, then you probably haven’t looked hard enough. Your A players, by analogy, are your Ship Captains. These are the shakers and the movers in spreading a safety-leadership culture. 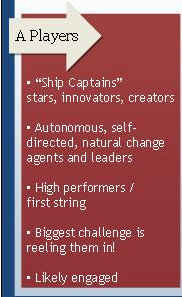 They tend to be autonomous, self-directed and natural change agents and natural leaders. Your biggest challenge with them won’t be to get the to lead the culture, but to reel them in when they take too much initiative. In terms of employee engagement, A players are very likely to be the ones who are engaged. 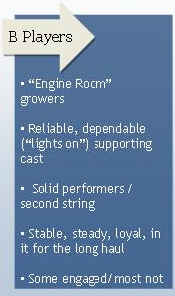 Your B players can be compared to your Engine Room employees. They may not take the lead in your safety-leadership culture, but they are reliable and dependable as your supporting cast. They tend to be strong performers who are stable, steady, and loyal. And you can count on at least some of them to be engaged employees, but most of them will probably be unengaged. 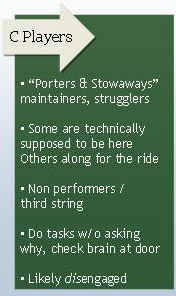 Your C players are the porters and stowaways. They don’t add much value to your safety culture initiative, they don’t contribute to leading it, and they may even slow it down. These are your non-performers in spreading and maintaining a safety-leadership culture. They tend to perform their tasks and fulfill their roles without asking questions or even caring what the purpose might be. These employees are highly disengaged. Now as you may have guessed, we’ll need to manage each type of employee in a different way if we want to maximize their contributions to the overall safety culture. And we’ll look at how to do that starting with our next video. But that’s all the time we have for this edition of Recordable INSIGHTS. Until next time, be sure all your safety initiatives are built-in, not bolted on.